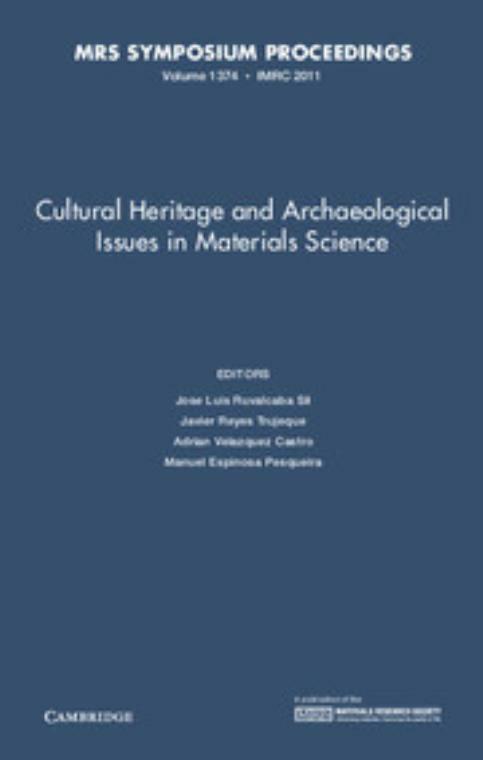 This volume of proceedings is published by the Materials Research Society and Cambridge University Press, and it is the first one to bear the title Cultural Heritage and Archaeological Issues in Materials Science (CHARIMSc). More than 90 papers were presented during this symposium, including invited lectures from France, Italy, Israel, Thailand and Mexico, as well as oral and poster sessions of participants from Spain, Mexico, Italy, Russia, Poland, United States and Australia. This publication presents selected contributions of the symposium in its 2011 edition, evaluated by an academic committee. Main topics such as nondestructive characterization of cultural heritage, technical studies in art history, archaeological science, conservation studies, biomaterials research and methodologies and instrumentation show the new trends and directions being taken worldwide in the analysis of cultural and archaeological materials. 24. Site-specific analysis of deformation patterns on archaeological heritage by satellite radar interferometry. Jose Luis Ruvalcaba Sil Universidad Nacional Autónoma de México.